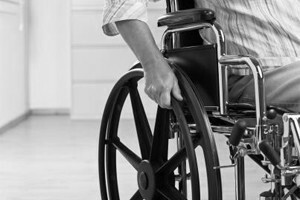 The use of disability support services in Australia is on the rise, according to a new report. AIHW spokesperson, Brent Diverty, said that the number of service users has increased from about 1 in 94 people in the Australian population in 2005-06 to 1 in 71 people in 2010-11. “Indeed the number of service users has been rising for some time, with a 45 per cent rise from 2005-06 to 2010-11,” Diverty said. The report also found that the use of disability employment services has increased from 34 per cent of service users using employment services in 2005-06, to 41% 2010-11. According to the report, in 2010-11, service users most often had an intellectual (30%), psychiatric (20%) or physical disability (17%). Most service users needed some assistance in the activities of daily living (52%); the activities of independent living (60%); and the activities of work, education and community living (57%). “The median age of service user was 33, and most (59 per cent) service users were male,” Diverty said. AIHW says that spending on disability support services in Australia is also increasing, rising in real terms by 2% to $6.2 billion between 2009-10 and 2010-11. However, it said that spending per service user fell by 4-6% for most types of services over the same period. “The number of people using services has risen at a faster rate than spending on those services, but it is also possible that there have been efficiency improvements in the delivery of services,” Diverty said.